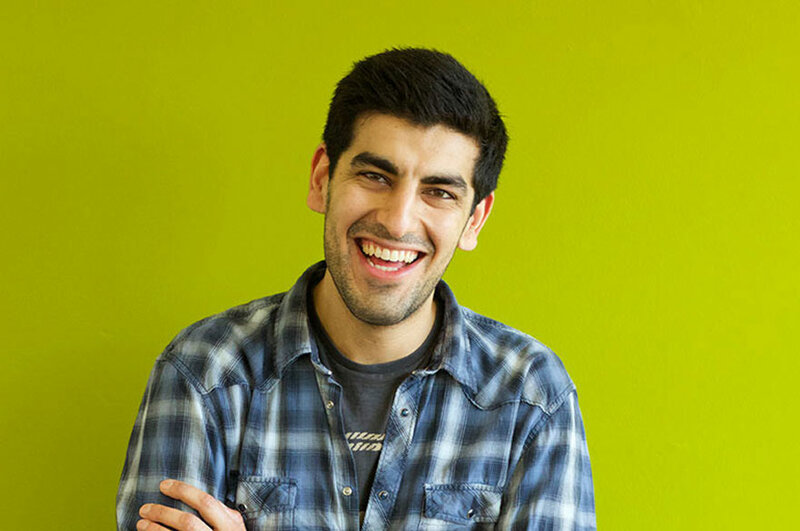 “The first thing that caught my eye about the Economics with International Finance and Banking course was that the student satisfaction was 95% and 100% of the undergraduates on this course were in employment, just six months after graduating. When I attended the open day, the lecturers were very welcoming and enthusiastic about their course. I then found out that I would have access to the Trading Room where I would be able to view the worldwide financial market live on the computer. I knew after the open day that this was the course for me. “Surprisingly, it didn’t take me long at all to settle in as I made friends on my course and in my accommodation straight away. Everyone was friendly and were in the same position as me so it felt like I wasn’t by myself. 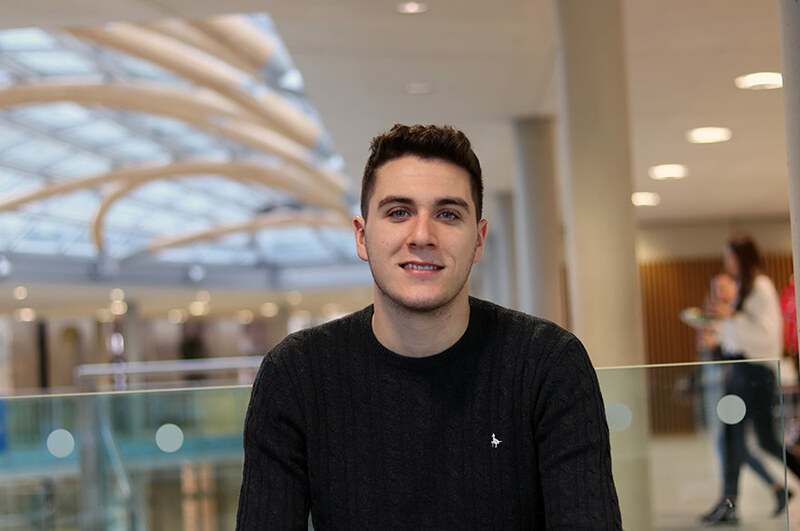 “Being a student in Nottingham is very exciting as there are many different social activities to do, from visiting the Planet Bounce Trampoline Park in the city centre to watching Nottingham Forest play. Any activity isn’t too far or expensive to travel to as the Nottingham buses and trams provide cheap student prices. I have been presented with many beneficial opportunities such as a Summer School in Sweden for 12 days in August, which was paid by the university. I learnt invaluable information on finance and accounting. I was also given the opportunity to take part in the NTU/Santander Financial Literacy Project where I taught year 9 students, in a local high school in Nottingham about financial literacy around earning, spending and saving. “Currently I’m in one of NTU football teams where we compete in the British Universities and Colleges Sport (BUCS) League. We train two days a week and have fixtures against other universities, which take place on a Wednesday afternoon. My team is also entered in a cup competition, which is relative to our league. 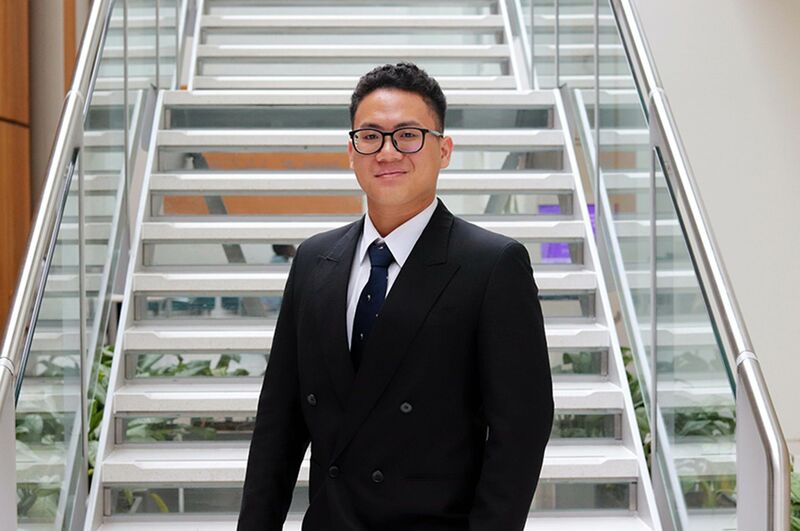 “As an Economics with International Finance and Banking student, I’m learning to understand the important role that finance and banking has on investment and the growth of the economy. I get to use the trading room in conjunctions with some of my modules to get some simulated experience of shares and trading and to use the data to understand how real-world events affect them. “Quantitative Methods for Economists module was one of the modules that I enjoyed the most as it allowed me to develop my numerical skills through understanding, analysing, and interpreting quantitative data of businesses. The Introductory Finance for Economists was also one of the modules that I enjoyed in my first year as it enabled me to use the Trading Room. I also learnt and understood the role the capital markets play in our economy and how banks have changed their behaviour since significant events, such as the financial crisis. “If you want an international understanding on how finance and banking is crucial to our economy, then this is the course for you. The course covers all key economic concepts, which are explained and illustrated with real-world examples. It puts you in a great position for you to apply the theory that you have learnt into your work placements and graduation jobs. “All my course tutors are very passionate about economics and are keen to make sure that our lectures and seminars are interesting and relevant. They’re very easy to contact and are always happy to meet up to answer any questions I have regarding the lecture slides or the seminar questions. 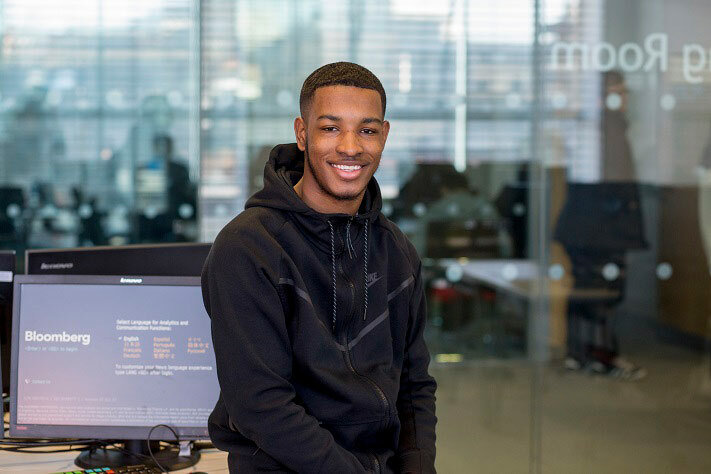 “I have met up with the Employability Team a few times now for them to help collate my CV so that I’m prepared to apply for work placements. They’re a drop-in service which means I’m able to go anytime during their working hours without booking an appointment.